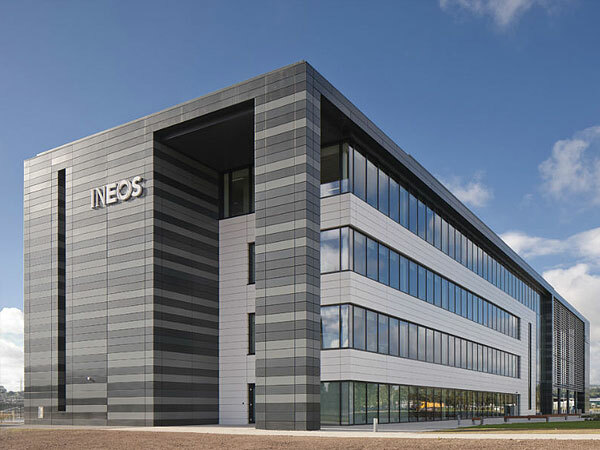 BHC Ltd. were awarded the Steelwork Subcontract for the new, state-of-the-art and blast resistant INEOS Olefins & Polymers UK headquarters. The construction of the new headquarters introduced a host of unique challenges. 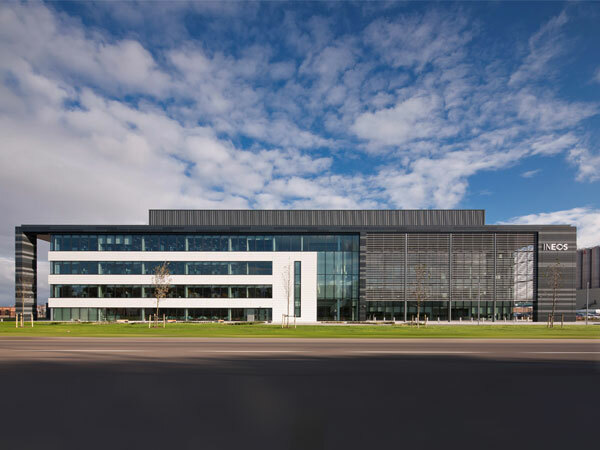 Located within a large petrochemical works, the most important challenge to overcome was ensuring the building was designed to withstand any resultant blasts. The Steel frame had to be ductile in the event of a blast. This led to the decision of using steel-framed cores for the building instead of a more rigid concrete core. All of the bracing within the building comprises of 250 mm x 12 mm flat sections, as this would offer more flexibility. The only aspect of the building that did not require flexibility were the connections between the cross bracing and the main frame’s columns, here large stiffened connections were used. Precast piles to a depth of between 35 m and 40 m were installed prior to BHC beginning the steel erection programme. 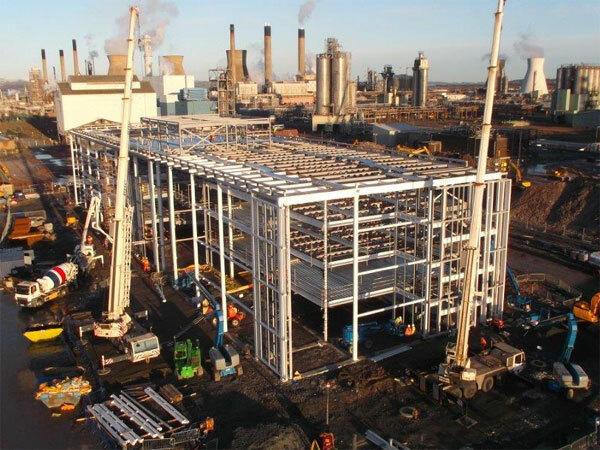 The steelwork formed a braced frame that followed a regular pattern of 7.5 m x 18 m. A series of 18 m x 750 mm deep cellular beams were used throughout the structure to create an open plan space. The beams were the heaviest and longest steel sections erected, and weighed approximately 5.5 tonnes each. BHC began by erecting the central area of the building which contained the main core. Once this was stable, the erection team was divided into two groups, allowing work to be carried outwards in both directions simultaneously. The entire steel frame was erected using two 80 tonnes mobile cranes. 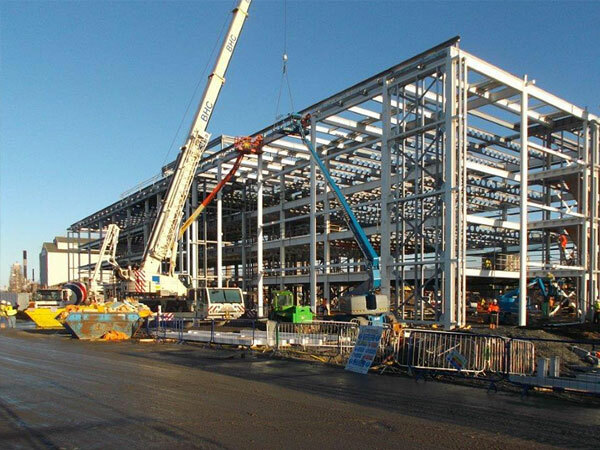 BHC were also responsible for the installation of metal decking and precast stairs.